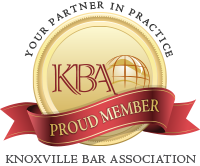 Located in Knoxville, TN, Lay & Baugh Law, PLLC combines over 78 years of legal experience into a civil and criminal law practice. There’s no charge to discuss your case to see if Lay & Baugh Law can help you. Simply click below to schedule a discussion. Civil trial work in family law, estate law, business law, and personal injury. Criminal work in DUI as well as other misdemeanors. Mediation. Our practice includes established, respected professionals and rising young stars. Learn more about them. with the right strategy and counsel. The firm made a difficult proccess simple. The information you obtain at this site is not, nor is it intended to be, legal advice. You should consult an attorney for advice regarding your individual situation. We invite you to contact us and welcome your calls, letters and electronic mail. Contacting us does not create an attorney-client relationship. Please do not send any confidential information to us until such time as an attorney-client relationship has been established. The information in this website is not intended as a solicitation or advertisement.